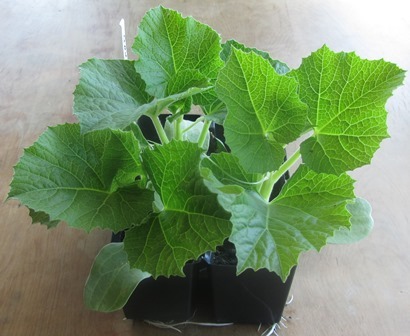 Have your gourd seeds sprouted yet? Your seedlings will be ready to plant out in the garden, when they have a few leaves. Gourd plants like rich well-drained soil, so making small mounds of compost is a good way to have strong and healthy plants. Spring is well underway and the season of frosts is over, though we might still get cold blasts of wind. Keep your seedlings well protected from birds and wind. A cut-off two-litre plastic bottle, held down with a piece of wire makes a good little mini-greenhouse for each seedling, and will protect it from birds as well as wind. When your plant outgrows this space, you can easily lift it off and recycle your bottle-greenhouse for another seedling.